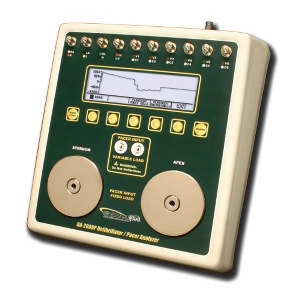 The DA-2006 is a microprocessor-based analyzer that is used in the testing of defibrillators. It measures the energy output and provides information about the pulse. It is used on manual, semi-automatic and automatic defibrillators with monophasic, biphasic and pulsed biphasic outputs. NOTE: This instrument is intended for use by trained service technicians.